"In the light of the moon, a little egg lay on a leaf. One Sunday morning the warm sun came up and pop! Out of the egg came a tiny and Very Hungary Caterpillar". Little Monkey is 2. I can't believe it. 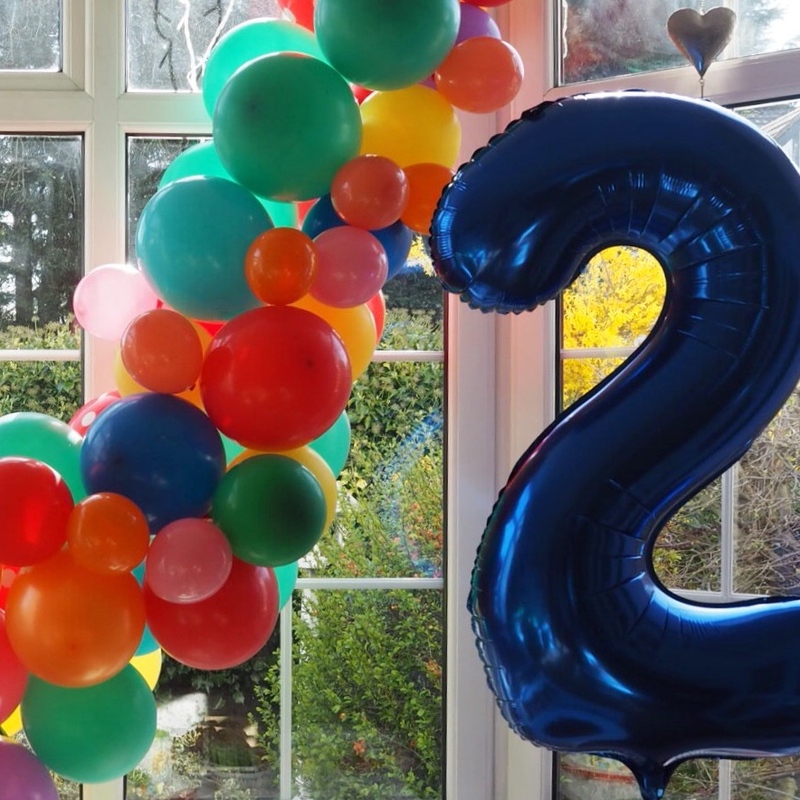 As I write this sitting amongst his birthday cards and giant helium number 2 balloon, I can't believe my little guy is a fully-fledged toddler. How did this happen? 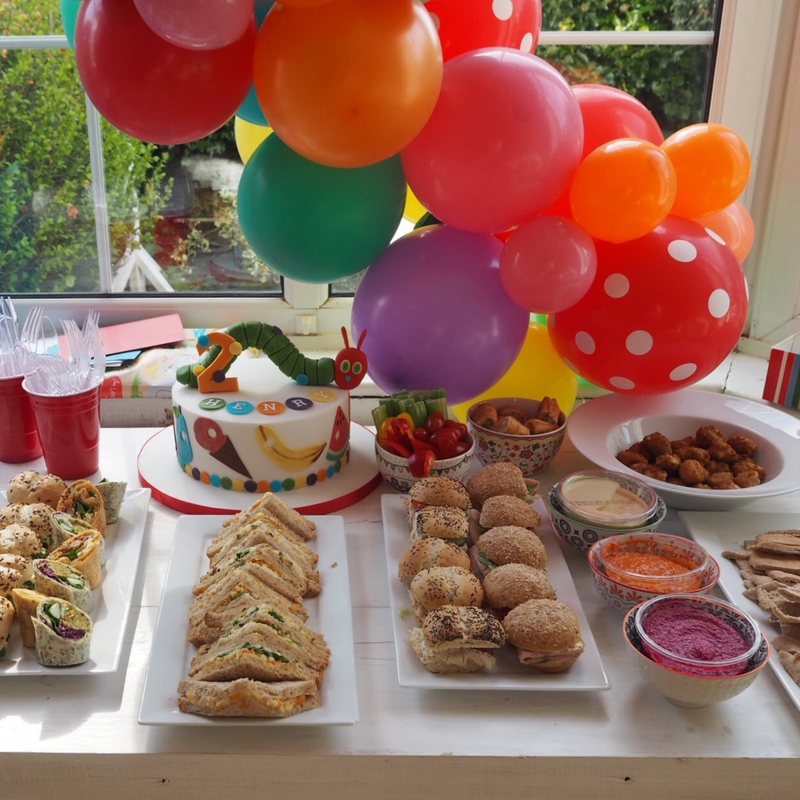 While I ponder the wonders of growing up, I thought I would share with you Henry's 2nd Birthday party and give you my Top 10 tips for planning a toddler’s party. Now I'm no party planning expert, but I do love rolling up my sleeves and giving it a go. 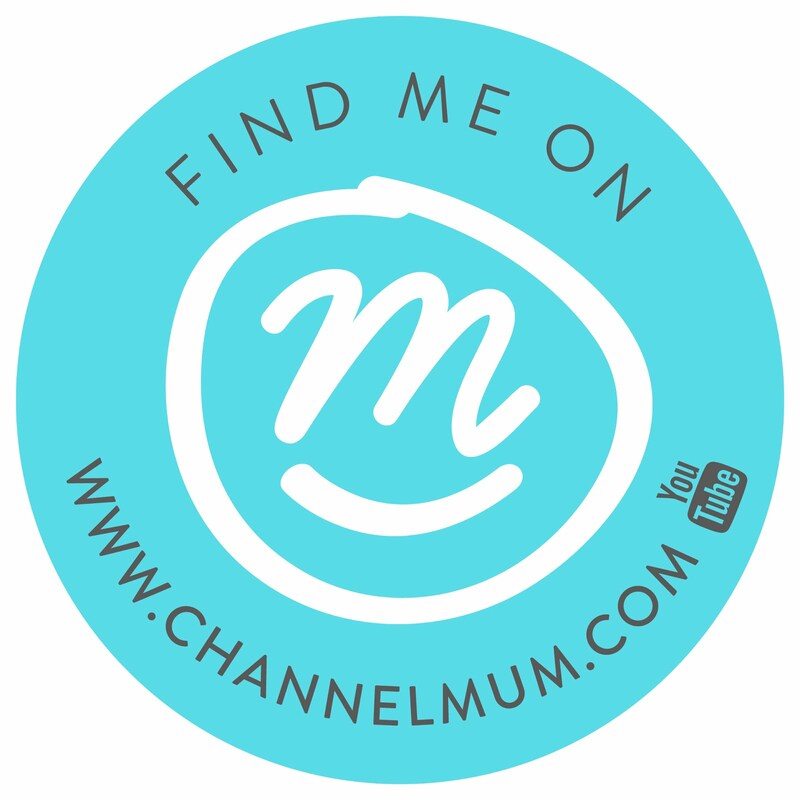 So my Top 10 tips also include some things, 'not to do', because I messed up a few times... you know, like ordering the food for the wrong day... gulp. I love me a theme. Which unfortunately in life it is also my downfall. Thanks to the wonders of Pinterest, I initially narrowed down Henry's party to 4 themes. Animals, hot air balloons, rainbows and superheroes all ranked high at some point. 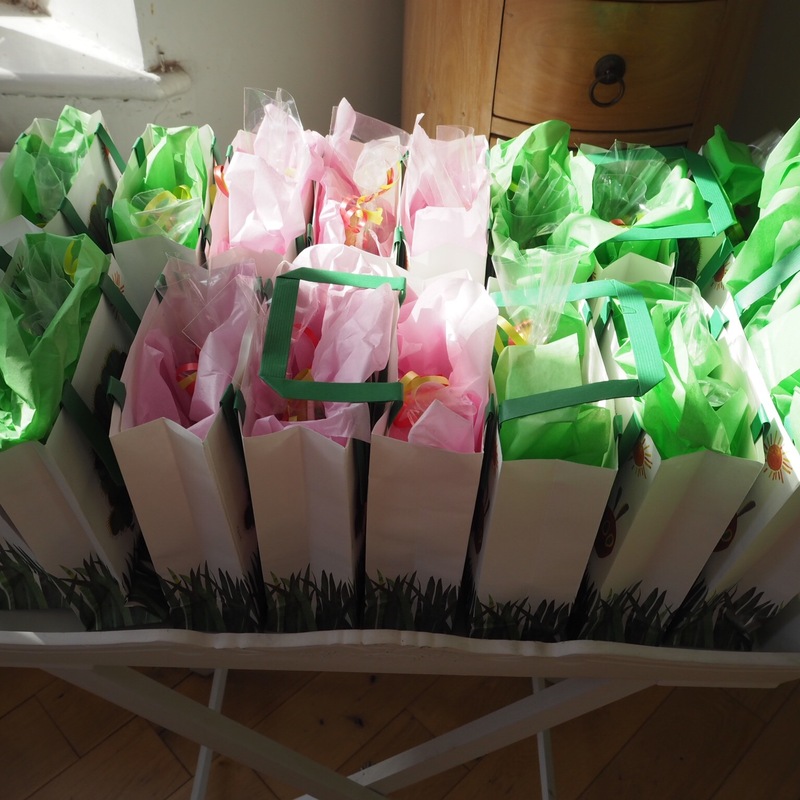 But thankfully the lovely people at Party Bags & Supplies sent me a link to their party themes before the big day. 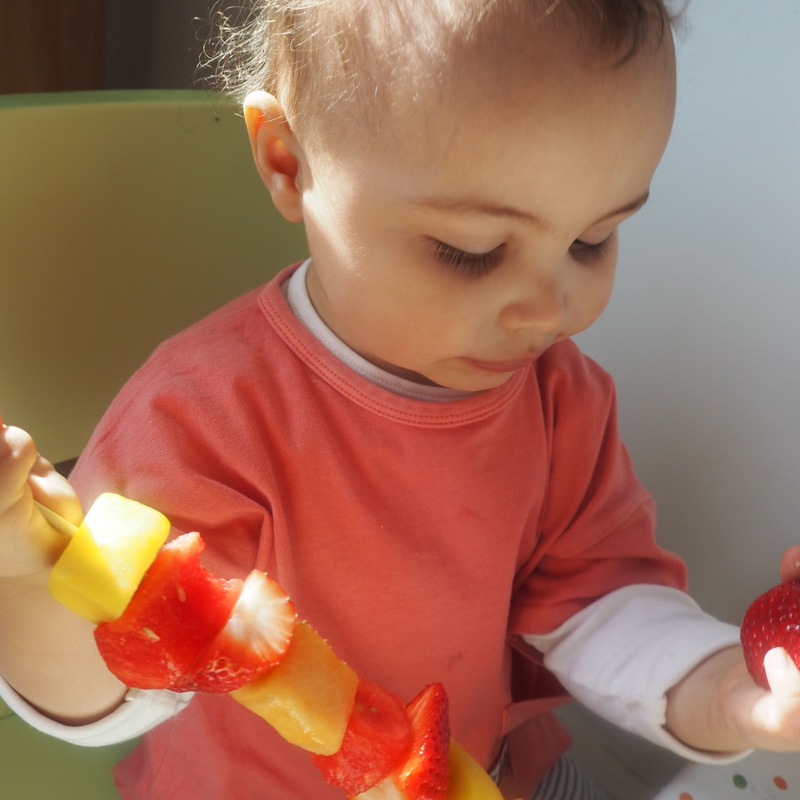 I instantly fell in love with The Very Hungry Caterpillar collection as it was super bright, it created so many ideas for food platters and it was also one of Henry's favourite books. A theme was born. & yes I went straight to Pinterest to create a whole new board. When it came to creating the guest list for Little Monkey's little party I instantly became overwhelmed with numbers. I have a fabulously large family, but if I was too invite everyone, the party would be bigger than my wedding. Kids cheekily bring their parents along to these such things. So I simply kept the guest list to other 2 year olds. It kept my numbers way down but I was also confident Henry would be amongst like-minded individuals (cue laughing emoji). My husband is obsessed with spreadsheets and budgets so I had to dust off the old Excel to plan Henry's party. I broke it down into food (including cake), decorations (including invites & party bags), entertainment and miscellaneous (outfit from Zara). For the first time ever I stuck to my budget, I just paid for all the additional bits with my own money. Haha. 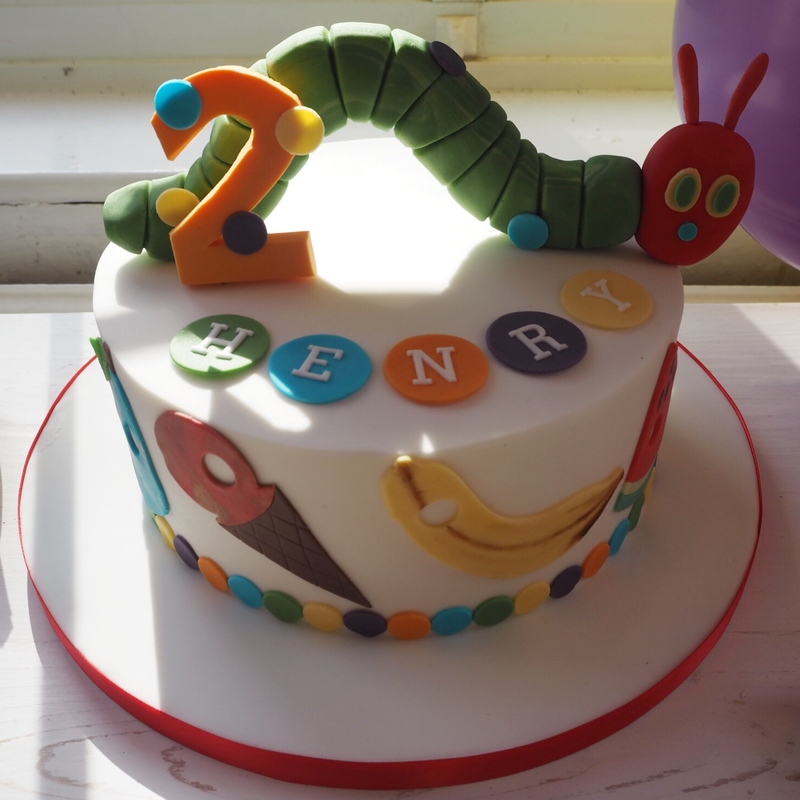 When it came to Henry's cake, I know I wanted it to be something in-keeping with the theme, super bright and delicious. I asked my rather creative friend Becky from Cupcake Couture Liverpool to bake us a cake fit for a hungry caterpillar. 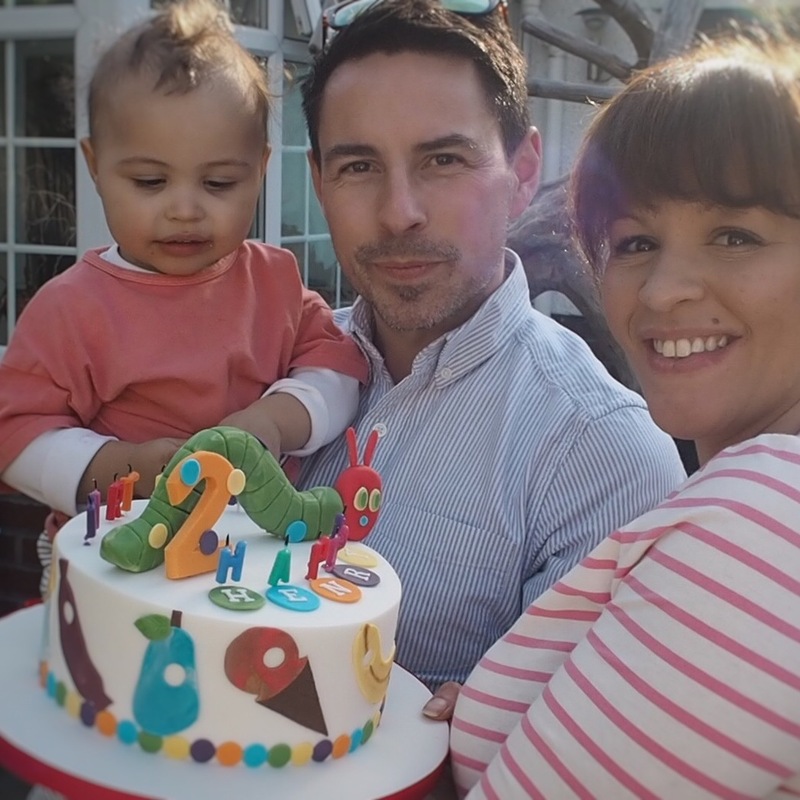 The result was better than I could have imagined and Henry's little face lit up when Becky presented it to him. But best of all, when Henry went to bed, after the party, my husband and I loved eating it. 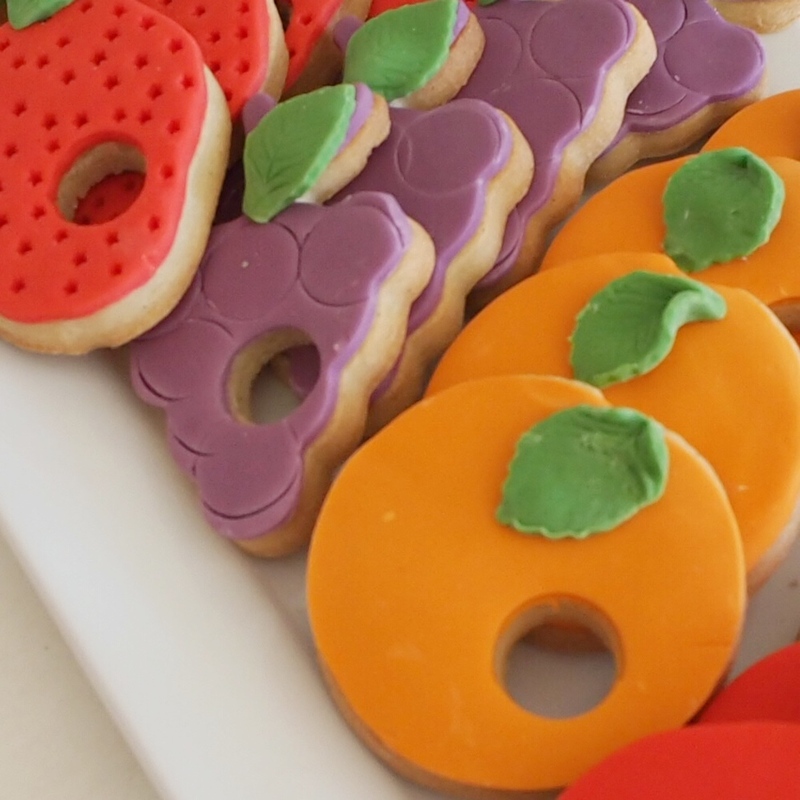 Alongside the cake I came across some super bright fruit themed cookies that I would be perfect for the gift bags and as a little treat for the parents (ok and the kids). Jilly at Jilly_Joys brought them to life and like the cake, they were better than I imagined. I let Henry have one, lets just say he never sat down alllllllll day. When it came to the food, I have to admit that I don't have the patience for making finger sandwiches and cupcakes, however I am rather good at online food shopping. But that’s were it stops, haha. I placed my order weeks before the party and on the morning of the party went with Henry to pick up the food. However I had made one grave error, I placed the order for the wrong date (cue monkey hiding his eyes emoji). I then had to trolley dash around M&S so replacement food. My food order consisted of little sandwiches, wraps, fruit cocktail sticks, mini fruitcakes and lots of bright dips and crudities. It went down a treat with children and parents and I loved how bright it looked on the table. All ready for our little caterpillars. I didn't have a big budget to hire a venue and thanks for my smaller guest list; I could afford to hold the party at my house. However our house isn't great for hosting right now, therefore I asked my lovely Mum whether I could host it there. She has a large open planned house that would allow me to entertain both kids and parents. Thankfully on the day the weather was glorious, so we managed to get out in the garden. We wouldn't have been able to do this in our house, as our garden is a mini death trap. Not great for kids parties. Whilst looking for party inspiration, Gurgle Magazine did a feature on balloon garlands from Pretty Little Party Shop. You can buy the garland making kits from Pretty Little, however I got the crazy idea of making it myself. I purchased an array of coloured balloons and then some fishing wire and a glue gun from Hobbycraft. Firstly with the help of family, we blew up all the balloons into different sizes. Then bundled up the larger balloons into 3's and start to tie them to a long piece of fishing wire. Then after securing the wire around the window pane, I then filled in the gaps in the garland by glueing the smaller balloons. Always ensuring the colours were all mixed. 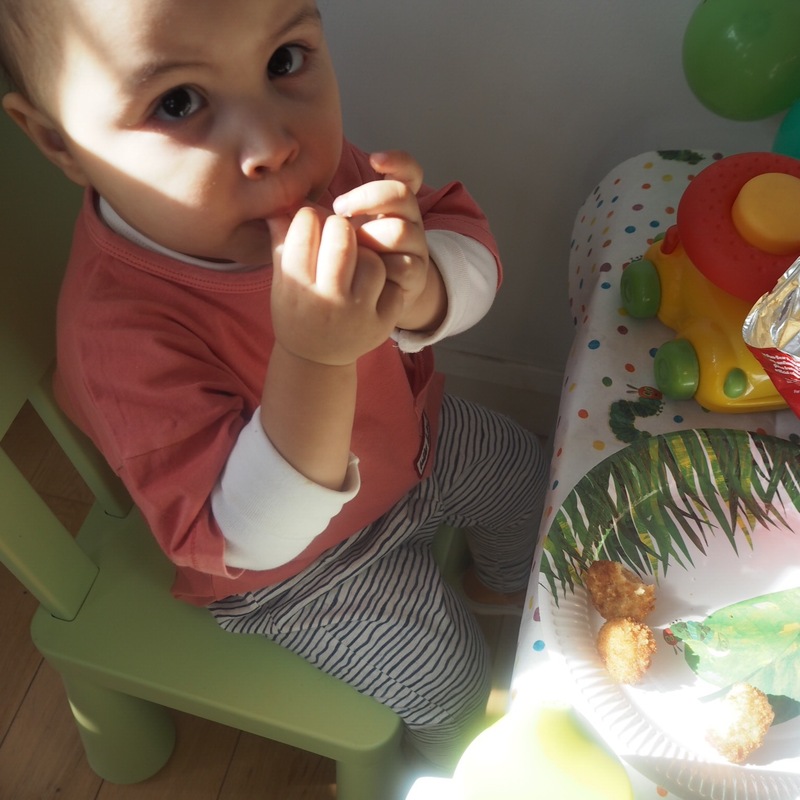 Having a room full of unruly toddlers can be overwhelming when it comes to planning party games. Just the thought of pass the parcel made me break out in sweats. Thankfully a couple of months earlier my lovely friend Lucy had organised a party for her son Dylan. The entertainment consisted of a lovely lady called Linda and her guitar. She was amazing, singing all the popular nursery rhymes and providing the kids with musical instruments. Henry loved her so much, that I booked her for his party too. 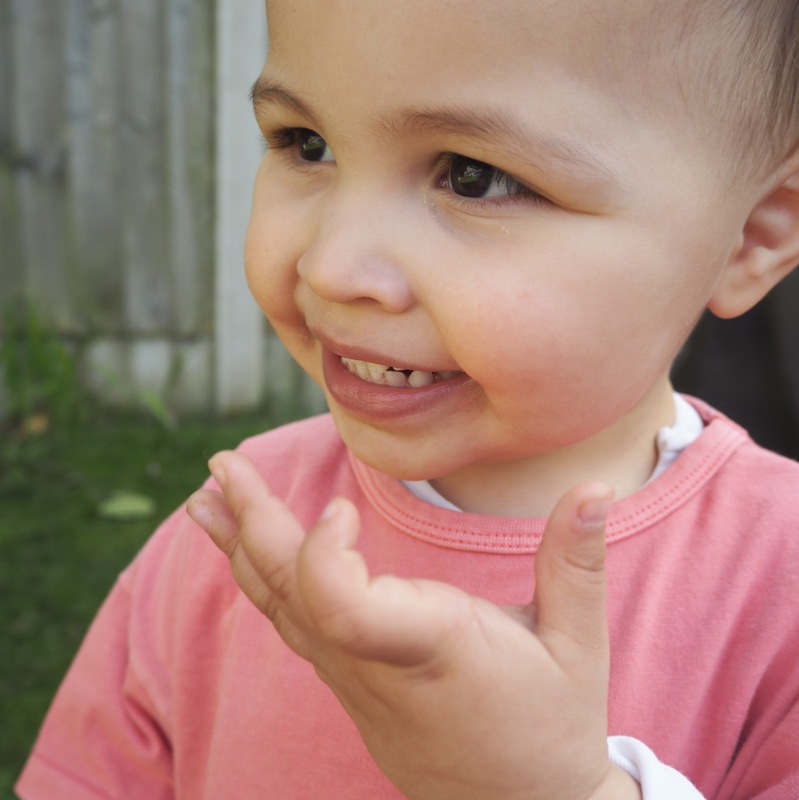 The sun was out last weekend, so the toddlers and adults all enjoyed rocking to heads, shoulders, knees and toes. Know your audience when planning the entertainment and if you are going to attempt games, call in the troops for extra help. 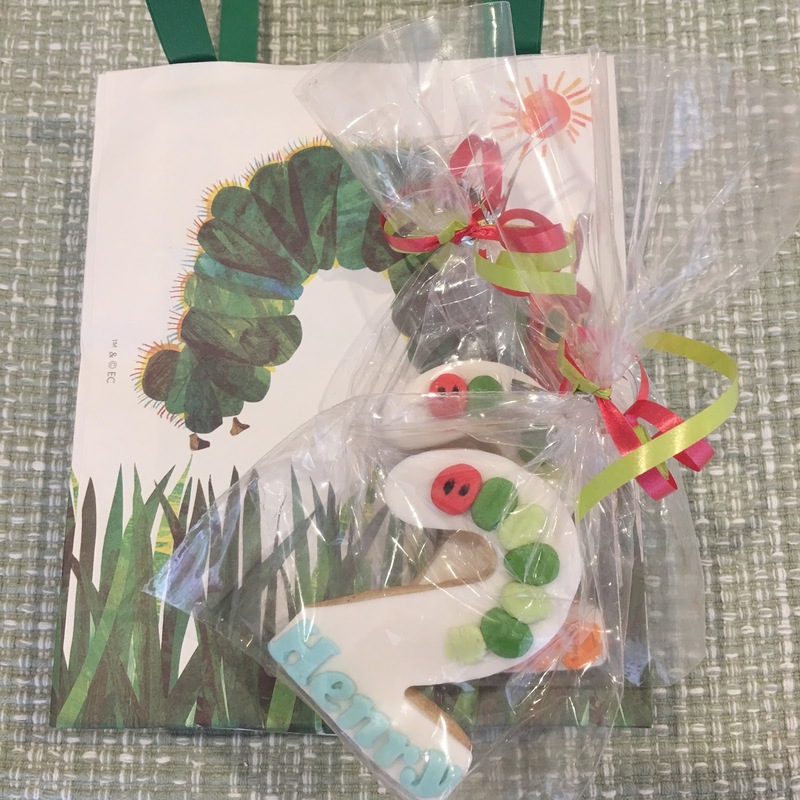 Alongside the room decorations, plates and balloons, I also purchased the matching Hungry Caterpillar gift bags. I also got some pink and green tissue paper to finish off the look. However when it came to deciding what to fill them with, I was stumped. Jolly_Jill made me these gorgeous number 2 cookies with Henry's name on, so I knew that the biscuit would fit perfectly along with some birthday cake. However when it came to toys, bubbles and other paraphernalia, I was highly uninspired. Therefore I just kept the bags simple and kept to the food goodies. However if you do decide to fill your bags with goodies, I found that buying in bulk from Amazon was better value. 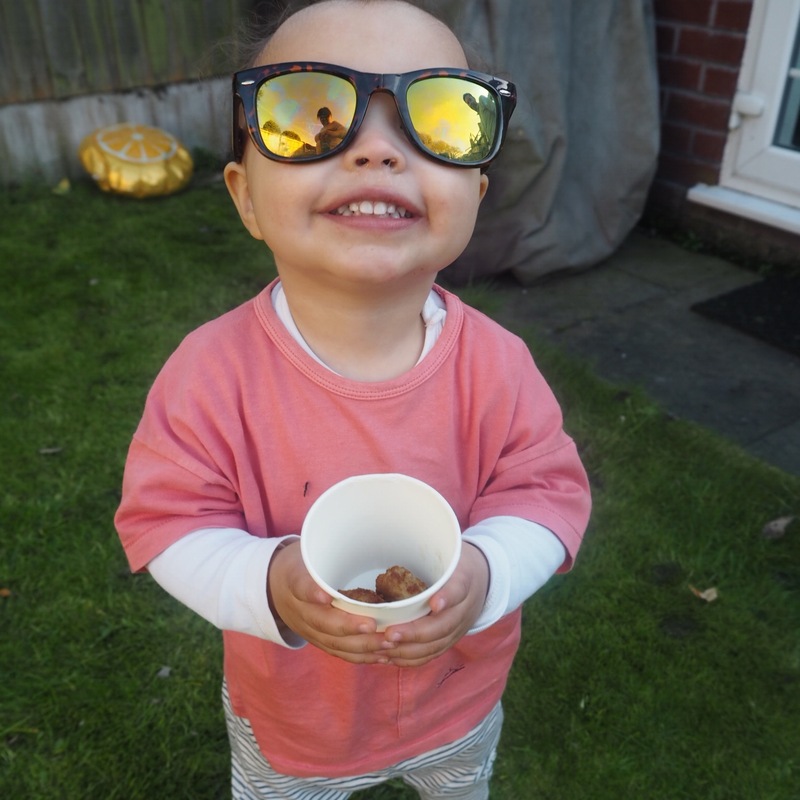 Due to the cookies and the sneaky profiterole Henry was given by his Daddy, he was crazily high on sugar all afternoon. His night ended with vomiting up bright orange goo, before passing out around 9pm. However after tidying up (again let family and friends help you out) we went home, popped our feet up and enjoyed birthday cake with a cup of tea. Henry's official birthday was the day after, therefore we kept all cards and gifts for the following morning.